TJ Schallot, an entrepreneur and startup founder from Charleston South Carolina wants you to grab hold of your Bucket List like a bull and take it down. 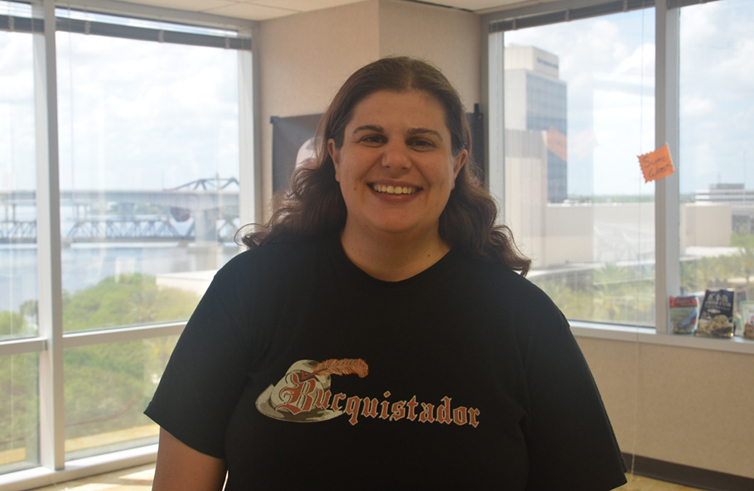 Conquer your bucket list with Bucquistador, that’s the motto at her newly launched startup. Leading up to the launch of the socially integrated startup that allows people to take things off of their bucket list, Schallot has been hard at work promoting her startup. She was a presenter in the Startup Village at Everywhereelse.co 2013 and now she’s presenting as a creator at OneSpark the World’s Crowdfunding Festival in Jacksonville Florida. 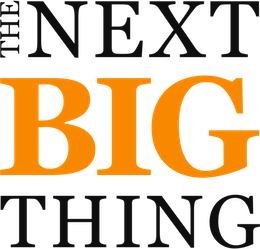 So there are a lot of “bucket list” startups out there, what makes this one different? Schallot told us in an interview, it’s all about conquering your list and involving your socially connected friends. This idea is the foundation for how Schallot even came up with Bucquistador. Schallot said her friends grew jealous of the fact that she was always doing things on their bucket list. She wanted a way to share with her friends the exciting things that she was doing without spamming them with email or useless Facebook updates. “I tried Facebook but my important posts were getting drowned out by pictures of cats” she told us. Of course we all know that pain. Now Schallot’s bucket list items are available on Bucquistador for her friends to see and collaborate on. For example if you want to fly in a helicopter through the Grand Canyon on your bucket list, a friend of yours may be going to the Grand Canyon and want to do the same thing, why not knock it out together. Schallot and her father are manning their creator booth in the SunTrust building in downtown Jacksonville. They’ve brought along a sumo wrestler suit, moonshine, and other items that may be on people’s bucket list. “Who doesn’t want to sumo wrestle in a sumo wrestler suit” Schallot said, now if that’s on your list you can do it right at the Bucquistador booth. Check out our interview video below and for more info visit bucquistador.com. In the words of the infamous Billy Mays, but wait there’s more OneSpark coverage here, a lot of it! The Iron Yard is a startup accelerator, co-working space, incubator and educational hub in Greenville South Carolina. They’re also a member of the Global Accelerator Network. We covered their first session at the Iron Yard accelerator extensively as they neared completion of the first cohort this summer. Companies like Trucky Love (now Locally.fm), MoonClerk, Spent, and RidePost were all featured on nibletz.com the voice of startups everywhere else, back in August. As the Iron Yard prepares for their next cohort they’re also expanding into the world of digital health and education. While Memphis TN is home to ZeroTo510, the first cohort based medical device accelerator, Iron Yard is taking a new approach and targeting those in the digital health space. ” Companies building everything from wellness apps to enterprise software can apply, and those accepted will settle into Spartanburg for an intensive program that will shape their idea into a company ready to launch.” Iron Yard’s Kate McCarthy told nibletz in an interview. On the education front, Iron Yard is looking to develop more coders and developers in the region. They are offering free programming classes to over 70 kids and they’re going to launch an intensive three month coding course for adults in the Spring. “One course focuses on teaching Scratch, HTML and CSS. The other exposes kids to electronics basics, from the circuit board, up. The really cool part: those who have completed the Scratch course can build game controllers for their own video games in the electronics course. That’s made possible by the support of Arduino, who donated Arduino Esploras for the kids to learn on.” McCarthy reported. Join Global Accelerator Managing Director Pat Riley and Global Accelerator program member accelerators from across the country next month at everywhereelse.co The Startup Conference, ticket sales and Startup Village booth sales closing soon. We saw the most amazing hat at CES 2013 in Eureka Park. The hat is called Cynaps and the startup that created it is called MaxVirtual. 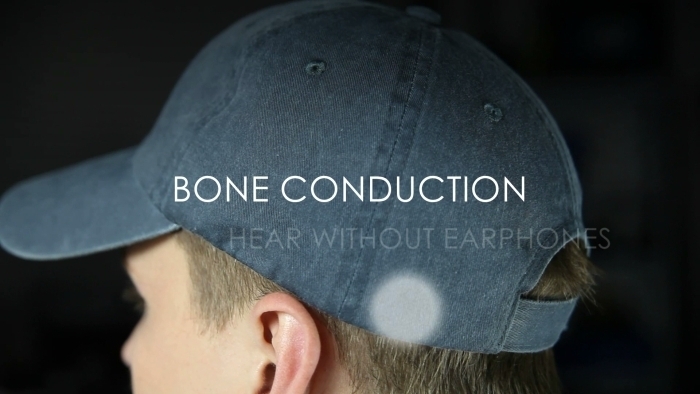 Cynaps, uses bone induction technology which when connected to a smartphone or other music player, lets you actually hear the music through the vibrations in hour head. No headset, no earphones and no earbuds required. The sound is conducted directly into your inner ear through vibration. Our cofounder Nick Tippmann was able to try the Cynaps out and says that it sounds just as good as headphones. The company spokesperson that we interviewed said that it’s perfect for anything requiring headphones. You can listen to music, watch movies, even take a call or skype with the Cynaps hat. There are a couple buttons built onto the brim that allow the user to end and start calls and playback. The South Carolina startup is already up, running and selling the Cynaps hat for $60 here. Cynaps offers a new level of safety when it comes to hands free operation. While you’re hearing the sound coming through your inner ear with the vibration, you can still hear other sounds as well. The main sound source becomes the focal point but if you were driving or biking with your Cynaps hat on you would be able to hear a car horn or other important noises. It all started over 2 years ago in Columbia South Carolina, over a piece of “death by chocolate” cake. It was Chris Hanscom’s birthday and in like most relationships is wife asked him a simple question, “where do you want to eat tonight?”. It was Hansom’s night and he didn’t really care where he ate, but he wanted a piece of death by chocolate cake. This search, online and through phone calls, almost brought the death of him (or perhaps his smart phone), but Hanscom was determined to find his favorite piece of cake. What he found was a mess of websites for local restaurants. Some had mobile pages, some had scaled down pages, others had flash that he couldn’t get to load, and still others had text that didn’t look right. When he went to the computer, it was much of the same. There was no consistency in the online menu. With Hanscom’s battle with the chocolate cake, an idea for OpenMenu was born. Now what Hanscom is proposing is a daunting task and he is well aware of that. He’s hoping to make a platform attractive enough that most restaurants will streamline their menus utilizing the OpenMenu platform. Lets make this abundantly clear though, Hanscom doesn’t have some groovy restaurant app that he wants to sign restaurants up for, he wants them to JUST streamline their menus. The framework around the websites can remain the same, the graphics are all the restaurants, however the menu part, if streamlined and then tied to an API could become a very welcomed thing for restaurant patrons, and a very lucrative startup for Hanscom. Iron Yard Labs is a 13 week accelerator program in Greenville South Carolina. It’s part of the Global Accelerator Network which was founded by Boulder Colorado based TechStars. The Global Accelerator Network affiliation gives the startup teams participating in the Iron Yard Labs session access to top shelf business benefits like free hosting, legal services, accounting services and more. The inaugural class at Iron Yard will graduate next week on August 29th with a demo day in Greenville. In the week leading up to demo day we will have interviews with some of the exciting startups accelerating in the program. We got to kick off this special section with Greenville ride sharing startup Ridepost you can read that interview here. You can also see our interview with Spent here. Sure it has a cute name but MoonClerk is a powerful platform making it easy for anyone to immediately and inexpensively set up branded, embeddable, and linkable recurring online payment forms with no technical skills required. It’s easier than creating PayPal payment forms and is perfect for anyone with any kind of service, product, digital product or even recurring donations. While MoonClerk is a cute sounding name, Dodd Caldwell, co-founder of MoonClerk says in our interview below that there is a real meaning behind the name. First off they wanted to use the word clerk because it dealt with payments without having to say payment. Then, the team went with moon because it’s a satellite on a recurring orbit. Pretty smart huh? We got to kick off this special section with Greenville ride sharing startup Ridepost you can read that interview here. Spent is an ad platform that targets traditional brick and mortar grocery stores. Co-Founder Andria Trivisonno equates Spent to taking the recommendation engine found in Amazon.com shopping and applying it to traditional grocery stores. Spent is able to achieve this by leveraging a customers buying habits and purchase history. We got a chance to interview Trivisonno who clearly shows the Global Accelerator Network’s influence in Iron Yards, by referencing “mentor whiplash” a phrase coined by Brad Feld at Foundry. They don’t get too much into the nuts and bolts of the app itself but from what we’ve heard Spent may actually make some headway in a space that’s being tackled on many fronts. We’ll have more details about Spent after they debut on the Demo Day stage. They are working on their seed round to continue forward with their progress. Check out our interview with Trivisonno below. South Carolina startups now have another new exciting resource to tap into. The University of South Carolina has announced it’s plans to open the Innovista Center for Product Realization or ICPR. The main funding for the new center is coming from a $645,000 five year federal grant. The main purpose is to help startups with product development. The center will be available to students, alumni and residents who are working on a startup based in South Carolina. One of the major constraints facing firms outside of regions like Silicon Valley is access to sufficient capital and talent to achieve critical mass and scalability for their product offerings,” said Don Herriott, director of Innovista. “ICPR will provide the infrastructure, resources and collaborative relationships that capital-starved startups require to take their idea or technology to the next level.” reports the SC-Israel collaboration. Startups that utilize the center and it’s resources will be able to tap into the expertise of USC faculty at the College of Engineering and Computing, the Darla Moore School of Business and the university’s Office of Technology Commercialization. We’ve recently reported on two exciting startup ideas brewing in and around the University of South Carolina. The first was a report on two engineers working on developing a t-shirt material that could charge phones directly from the shirt itself. The other 52 apps, is an innovative app development startup that will release 52 apps a year by vote (we reported on them 4 weeks before mainstream media). Anyone who knows me knows that I am all about maximizing efficiency by wearing whatever I can to hold and charge my devices with minimal weight. My wearable accessories at the moment include a wide range of PowerBag’s by RFA Brands in Michigan and my new found gadget holder the TechSlinger. While the Powerbag has an intricate, modular charging system within the bags I have the TechSlinger puts everything close to my body and is extremely light weight. On days when I’m only using the TechSlinger I use a 16,000mah battery stored in the lower pocket for my iPhone, iPad and whatever Android device I have on me at the moment. Well, according to our friends over at Boy Genius Report there are some innovative engineers at the University of South Carolina. A team of two engineers being led by Xiadong Li, a professor of mechanical engineering at the university, are working on storing a charge right in the fabric itself. Li and his team took a brand new store bought plain white t-shirt and soaked it in a flouride solution. They then baked the t-shirt at a high temperature in an oxygen free oven. When the t-shirt was done baking the fibers in the shirt were converted from cellulose to activated carbon, capable of holding an electrical charge. The engineers also coated the shirt with a nanometer layer of manganese oxide which enhanced the shirts charge-ability. The future is pointing to roll up cell phones, keyboards, and computers as well as flexible display devices. People are going to grow more and more tired of having to charge everything at home on a 110 outlet and stored batteries may soon one day fall to the wayside. When it does, things like this t-shirt they are working on and even the possibility of furniture that just charges things in close proximity, will be the norm. We may not be too far off. Here’s a story that’s just screaming “everywhere else”. Two students who actually hail from Arkansas, Brandon Lee and Chris Thibault are two ambitious young entrepreneurs who have built a startup app studio with a twist. Their startup is working out of an incubator at USC where Thibault was a student. 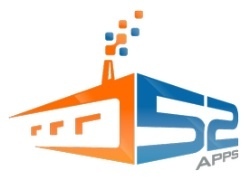 Their development company, called 52apps, is set out to produce 52 high quality apps over the next year. They hope to produce each app in just five days, presumably cheating the startup culture and taking weekends off, which is ok considering they are also students. While the 52apps concept isn’t entirely new, the way they’ve set out to find app ideas has an interesting twist. The startup held almost a “pitch” event Friday evening. At the event they took app suggestions from all walks of life at an event with a stage, pitches and brainstorming. These two aren’t guys who just decided to become app developers in College. Both Lee and Thibault are BFFs from high school, who developed their first app while they were till in high school, with the ambitious idea to make math homework easier and more automated. They were able to achieve that as part of a goal to stop taking backpacks to school. 52apps is just one of 32 resident startup companies at a fairly new incubator at UNC. The duo has already put out their first iOS app under the 52apps umbrella. The app, called Tap Notes, sells for $2.99 in the iTunes app store and helps students, and business professionals take notes, and record conversations for the notes that can be accessed at specific points rather than having to listen to an entire conversation and then pulling what you need. Lee and Thibault report that they’ve received over 30 great ideas so far and will start developing straight away.